With the weather hitting highs of 17 degrees in Vancouver this weekend the last item I want to be caught in is my winter coat. 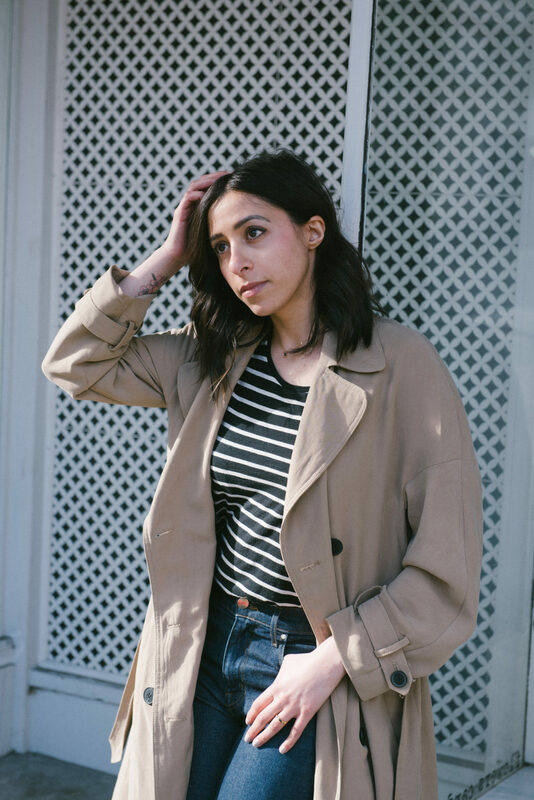 It’s time to break out the leather moto jackets, boyfriend blazers and the trusted lightweight trenches. 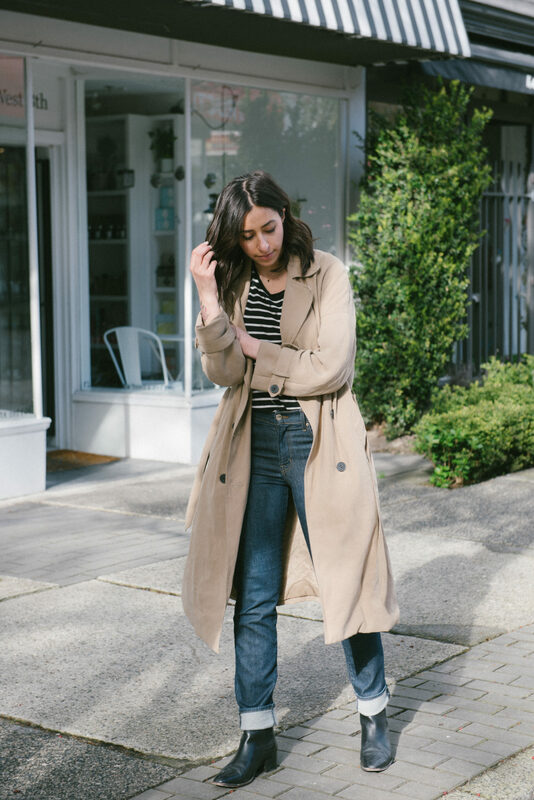 On a recent shopping trip to Zara I snagged this awesome over-sized trench coat perfect for spring! Wanna get your hands on the look? Try out these 5 must-have styles below! This season I’m also switching out the skinnys for some bootcut jeans. 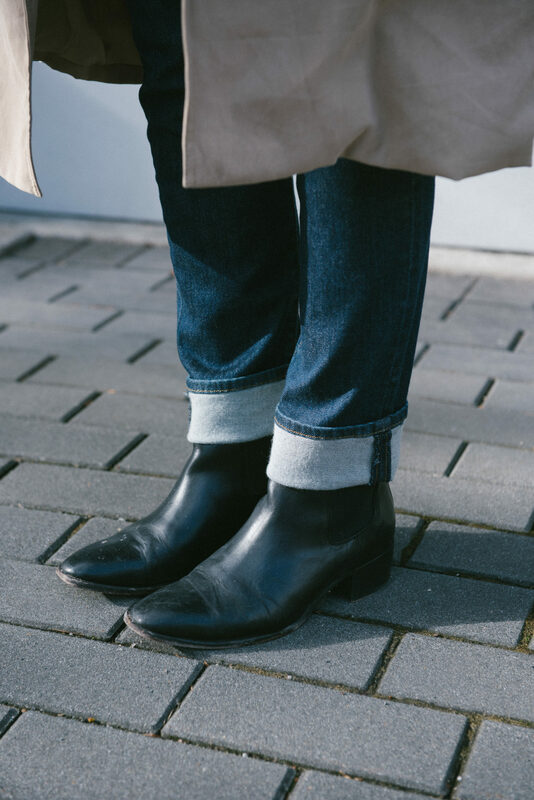 A little cuffing on the bottom gives it more of a men’s worker style jean that works perfectly with the over-sized trench and leather boot. These ones are from the latest Fidelity Denim collection and can be found at a retailer near you.